There was Predators playoff hockey. Tickets were bought early in the morning (like, 4:45ish) after the Predators swept the Blackhawks. I'd never been to an NHL playoff game. The energy was amazing. The Predators won 2-1, and would go on to win the series last weekend to hit their first Western Conference Final. They won game 1 against Anaheim last night, which was a nice way to start vacation. Vacation week. Finishing the move, which has become a much longer process than either of us might have thought. We wanted to get this done in March. Dad's passing put a hitch in that. Then, her busy season started a week or three earlier than it usually does, thanks to unusually warm temperatures. We were busier than anticipated (and a little more shorthanded) at work. My landlord has been cool about this. We'll finish up with the heavy stuff this week. My smaller stuff is already over at Shyam's place. 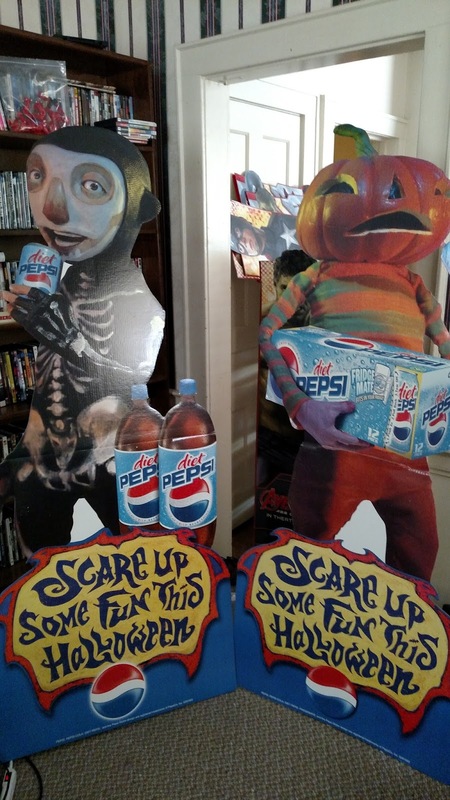 They're old Pepsi standees we used at Halloween several years back. I liked them, and kept them. Used them a couple years to decorate, but for the most part they stayed folded up at the back of my bedroom closet. I'm giving them to a buddy later this week, but I've left them set up in my living room. 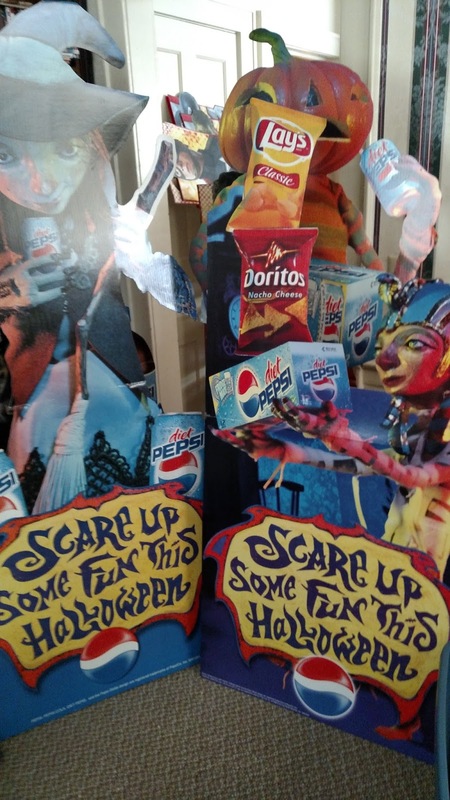 No less than three times have I come into the house and nearly had a heart attack because of these goofballs standing there.